Pop-up cards are fun and pretty to look at when the things that pop out from it are bold and colorful things. If you wanna make a smashing pop-up card on your own, you can try to make use of your old magazines. For some people who are not skillful in hand-drawings or painting (e.g, me), colorful pictures from old magazines can be great help. I made this pop-up birthday card for my dad with a banquet theme. For the background I used a dining room photo of an interior magazine. 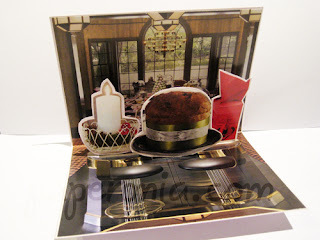 The pop-up items are candle, muffin and a small gift box. The idea is to make those item look as if they're really coming out and being spread in front of you. You can work with many other themes, too, like fashion, automotive, or cartoon character for kids. Just about anything you can find on magazine. 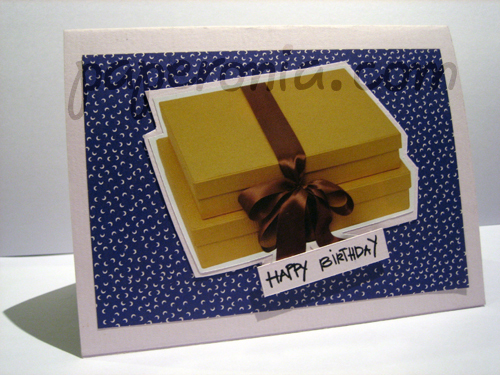 Oh, don't forget to add a little scrap of card down the bottom for you to write your wishes.